PhD in Commercial Law, College of Law - University of Cairo – Egypt 1981. MA in Private Law, College of Law - University of Cairo – Egypt 1978. BA in Law, College of Law - University of Baghdad – Iraq 1970. 2008 - 2014 Associate Professor, College of Law and College of Business and Economics - University of UAE. 2002 - 2007 Associate Professor, College of Law and College of Business and Administration -University of Bahrain. 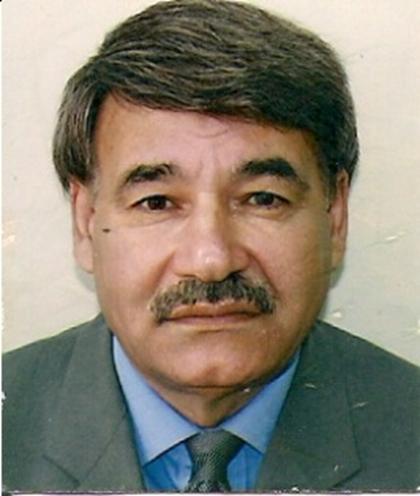 2000 - 2002 Associate Professor, College of Law - Salahaddin University, Erbil, Kurdistan Region. 1996 - 1998 Asst. Professor, College of Law -Al-Zaytonee University – Jordan. 1992 - 1995 Asst. Professor, College of Law - Salahaddin University, Erbil, Kurdistan Region. 2013-2014 Training course for UAE Lawyers, Abu Dhabi, UAE. 1971-1974 Sub-District Governor, Sarqala, Aghjaler, Kirkuk. 1974-1975 Participate in the Kurdish Revolution 1974-1975. Appointed as Mayor for Tuz-Khormato. 10- English for Law Students, Published by University of Bahrain (handout) 2003. 11- Introduction for Legal System (handout). Published by the College of Law-Salahaddin University, Erbil 2001. 12- Principles of Commercial Law (handout). College of Law- Published by the Salahaddin University, Erbil 2000. 2. Air Carrier’s Liability under the international agreement and national legislation Published in the Journal of the 20th Annual Conference of College of Law - UAE University 23-25-April-2012. 4. Protection of pharmaceutical products and the second medical indications in Comparative Legislation and International Conventions. Published in Journal of Sharia & Law issue No 48 October 2011 College of Law- UAE University. 5. The Rule of the Court and International Conventions to settle investment’s disputes. Published in the Journal of the 19th Annual Conference of College of Law - UAE University 25-04-2011. 7. Settlement of B.O.T disputes by friendly means on the light of UAE Law. Published in the Journal of the 18th Annual Conference of college of Law- UAE University 2010. 8. Settlement of Disputes of Intellectual Property Right in International Commercial Treaties. Published in Journal of Sharia &Law issue No 44 October 2010 College of law -UAE University. 9. The Nature of Banking Transactions of Islamic Bank in UAE. Published in Journal of College of Law – University of Tanta, Egypt, issue No (52) August 2010. 10. The Legal Nature of Responsibility for Certification Service Provider. Published in the 17th Annual Conference of College of Law- UAE University 2009. 11. The legal nature of non-clinical medical research and experiment. Seminar of Medical Liability. College of Law-Published in the Journal of the Seminar at UAE University 8-9-12-2009. 12. Protection of Civilian Target in International law. Published in Journal of Law issue No 2 of 2004 - College of Law University of Bahrain. 13. The legal System of Patent Rights. Published in the Journal of the 13th Annual Conference of College of Law- UAE University 9 May 2004. 14. Conveyance of Business premises (Book). Published by Dar Al-Thakafal – distributing and publishing. Jordan 1998. ISBN 346-072. 15. Swedish Family Law. Comparison Study. Journal of Law issue No 1, College of Law-Salahaddin University, Erbil, 1995. 16. Commercial Transactions in Swedish, comparison study. Journal of Law issue No 2 Published by College of Law-Salahaddin University, Erbil, 1995. Commercial Law (English), Commercial Papers (English), Company Law (English) Business Law (English), Monetary Agency Law (English). 1- Conference on the Civil Air Aviation .The 20th Annual Conference of college of Law UAE University 23-24- April 2012. 2- Conference on the role of investment between the National Legislation and International Agreements and their impact on the Economic Development in the UAE. The 19th Annual Conference of college of law - UAE University 25-4-2011. 3- Conference on Building and Construction Contracts between Traditional Legal Rules and Developed Legal System. The 18th Annual Conference of college of Law UAE University 19-4-2010. 4- A Symposium on Medical Liability under the Federal Law No 10 of 2008 College of Law -UAE University 8-12-2009. 5- Conference on Electronic Transactions (E-Commerce-Government). The 17th Annual Conference of College of Law- UAE University 19-5-2009. 6- A Symposium of Highlights on Federal Labor Law of UAE No 8/1980. College of Law-UAEU. 24-11-2008. 7- Conference on Alternative Dispute Resolution and Restorative Justice. 12-10-2008, Abu Dhabi. 8- Symposium on Negotiation and interpreter of International Commercial Contracts. Bahrain, ITC 2006. 9- Symposium on Foundation and Principle of World Trade Organization (WTO). Bahrain, ITC 2005 (English language). 10- Symposium on IT Contract Bahrain, 2004 (English language). 11- Conference on Legal and Economic Aspects of the World Trade Organization Agreements. The 13th Annual Conference of college of Law-University of UAE Dubai 9-5-2004. 12- Symposium on Intellectual Property Rights. WIPO. Bahrain 2003. 13- Symposium on Conference on Arbitration and Custom. Bahrain, ITC 2003. 1- English for Lawyers Program. College of Law -UAE University. Organized by Pittsburgh University, Feb 14-18, 2010. 2- An active learning and its role in the educational process. College of Law-Islamic department-UAE-University 2009/11/03. 3- Formulate the questions and design the legal and legitimacy examinations on the light of modern educational a curriculum. College of Law-Islamic Department-UAE University 2009/04/21. 4- Legal framework of govern the relationship between teacher and student College of Law –Islamic-department UAE University 30/03/2009. 5- Development of teaching performance, College of Law-UAE University 3/3/2009. 6- Development of teaching performance, College of Law-UAE University 22/2/2009. 7- Development of teaching performance, College of Law-UAE University 4/2/2009. 8- Microsoft Office Word 2007 Islamic department college of law-UAE University 21/2/2009. 9- Introduction to Blackboard CTLE Center for Teaching & Learning-UAE University 26-27 November 2008. 1- The rules of humanitarian international law. Published by Mukiryani Publisher, 2008, Erbil. ISBN-1795. 2- Democracy and Civil Society, Published by Mukiryani Publisher, 2002, Erbil. ISBN-74. 3- Human Rights and Civil Society, Published by Al-Rafid Distributing and Publishing, 1999, London, ISBN 1-900766-51-0. Language skills: Fluent in English, Arabic, Swedish, Kurdish, and Turkmen.